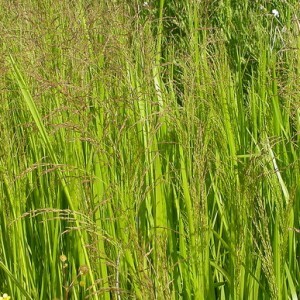 Glycéria is the perennial grassy plant of the family of Gramíneae, possessing high decorative effect. Today there are more than 50 species of this plant, which grow practically in all tropical zones, in mountainous areas of tropics and in all moderate zones. This tall cereal is carried quite often to coastal plants, but the glyceria equally well grows as in crude places, or in water, and on the dry soil. Long-term types though also the one-year occasionally meet are most widespread. Long-term glyceria differs in more developed root system, have a thick rhizome.